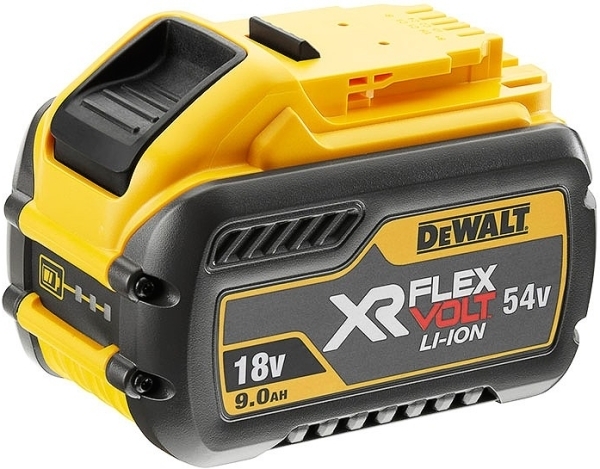 - 9.0Ah XR FLEXVOLT Battery. - Compatible with all 18V XR and 54V XR FLEXVOLT tools. Battery capacity: 9.0Ah/3.0Ah XR FLEXVOLT. • Battery voltage: 18/54 V.
• Battery capacity: 9.0Ah/3.0Ah XR FLEXVOLT. • Dimensions (LxWxH): 125x85x90 mm.